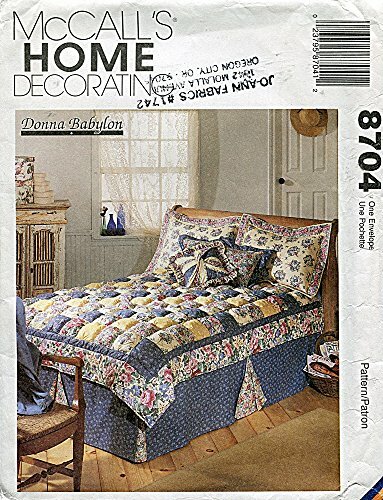 Included in this envelope are pattern pieces and instructions to make a "puff" quilt in twin, double, queen and king sizes, a flanged pillow sham, a square pillow, a twisted bow pillow and a kick pleated bed skirt. Get the room ready! 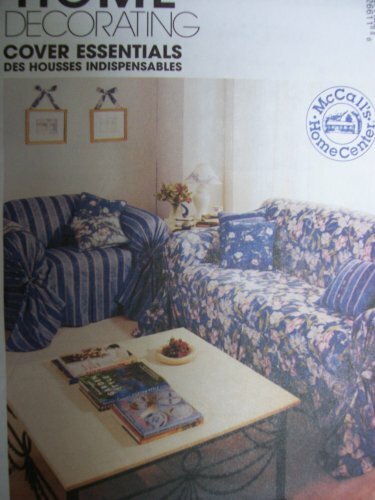 Pick a favorite fabric, give a new look to your futon, sofa or chair. 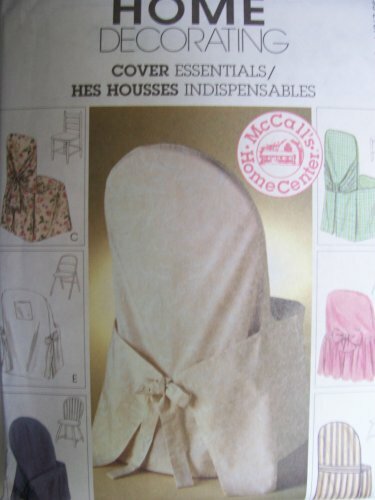 Make covers for them all, along with coordinating covers for pillows, bolster pillow and a table cover. Just follow the easy-to-do instruction. It's home decorating at its simplest. 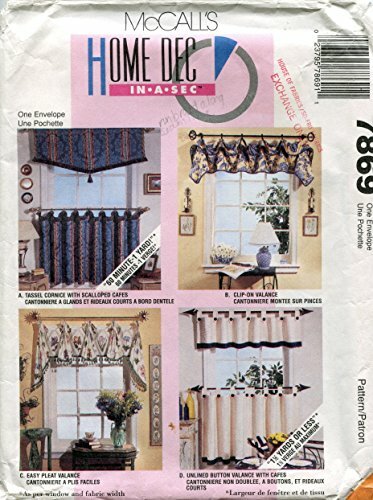 Includes pattern and instructions to make View A: tassel cornice with scalloped cafes; View B: clip-on valance; View C: easy pleat valance; View D: unlined button valance with cafes. 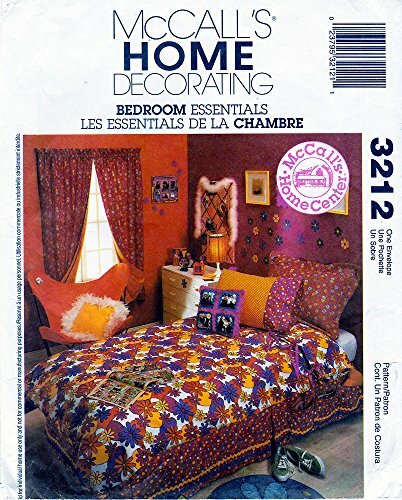 MCCALLS HOME DECORATING COVER SEESNTIALS PATTERN 3141. 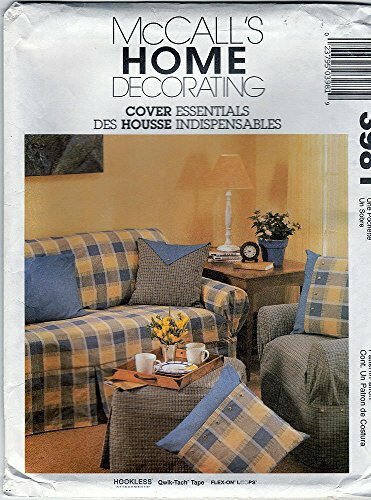 CREATE AN EXCITING NEW LOOK FOR YOUR LIVING ROOM, FOLLOW EASY TO DO INSTRUCTIONS FOR SOFA AND CHAIR COVERS WITH OPTIONAL HOLD ALL PACKETS. DECORATIVE PILLOWS AND OTTOMAN. 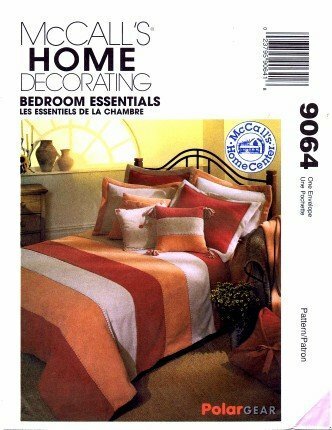 MCCALLS HOME DECORATING PATTERN 8037 FOR BEDROOM ESSENTIALS. BRIGHTEN YOUR BEDROOM, TIE IT ALL TOGETHER. 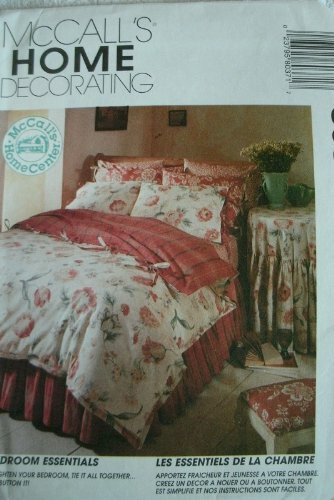 FEATHER BED COVER, TIED DUVET COVER WITH SHAMS AND BEDSKIRT, BUTTONED DUVET COVER WITH SHAMS AND BEDSKIRT, TABLECLOTH AND TABLECLOTH AND TOPPER. 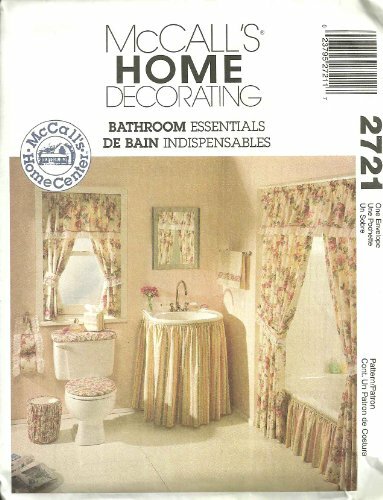 Create a new bathroom with a great fabric in a favorite color. 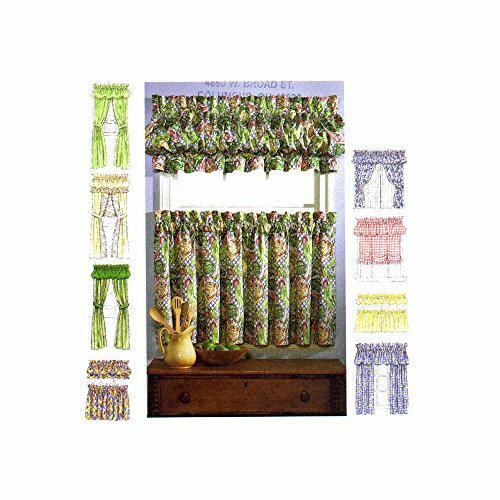 Make a shower curtain, window treatment, tub skirt, sink skirt, toilet cover, wastebasket cover, towel accents, tissue box covers and toilet paper covers. 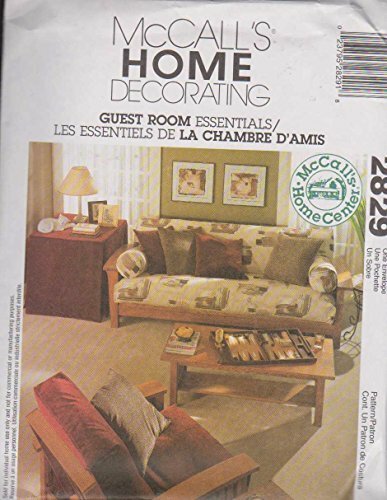 This package includes instructions and pattern pieces for making a variety of chair covers, a futon cover and a shirred panel screen. 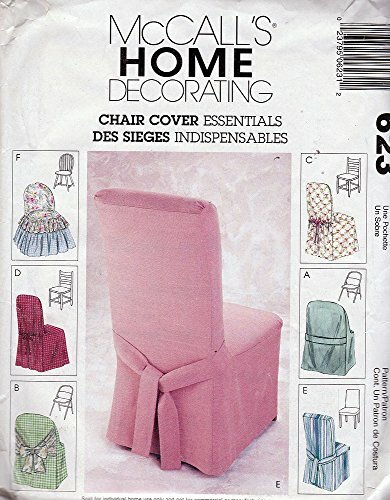 Make a rocking chair pad, butterfly chair cover, director's chair, ruffled seat cushion, plain seat cushion, ruffled stool cushion, cap stool cover, futon cover and a shirred panel screen. 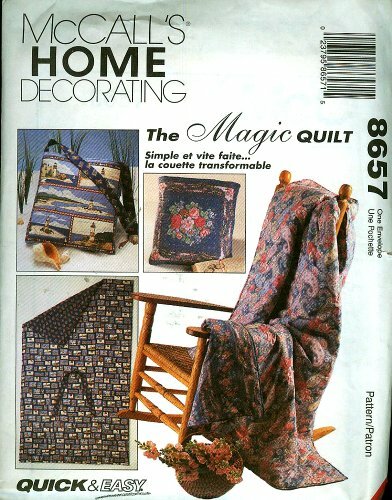 1990's McCall's 8657 Home Decorationg Sewing Pattern Magic Quilts Package: This package includes pattern pieces and instruction for making quilt in two sizes (36" x 45" and 42" x 70") that fold into pillows 14" or 18" with optional carrying straps. 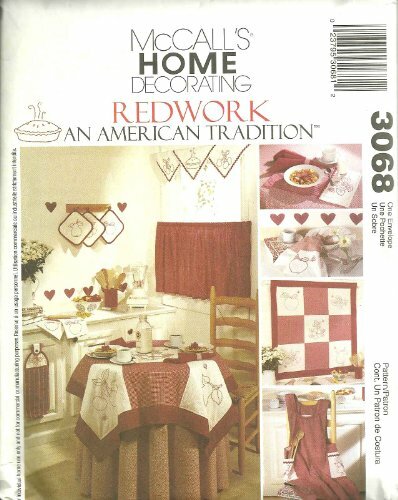 Included in this envelope are pattern pieces and instructions to make bed covers, a throw, pillows and shams. 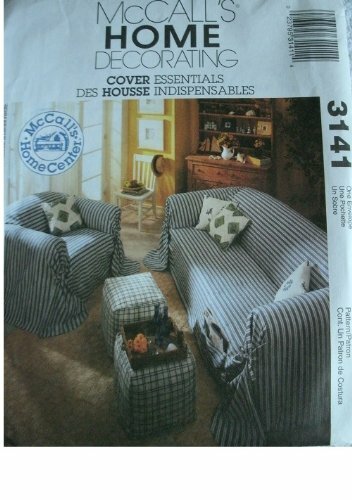 Pattern and instructions for sofa and chair slipcovers and assorted pillows (square, rectangular). 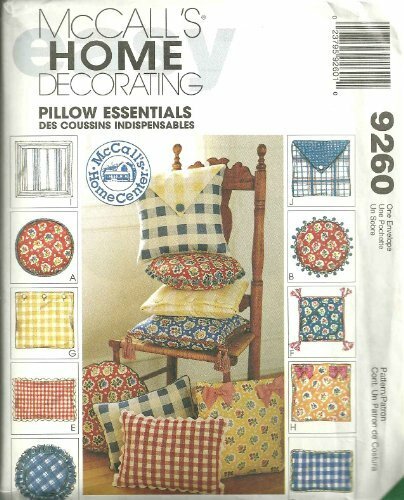 McCall's 8703 Sewing Pattern Window Essentials: This window packages includes instructions for poufs, cafes, panels and balloons. Follow the easy-to-do booklet. It's home decorating at its simplest. 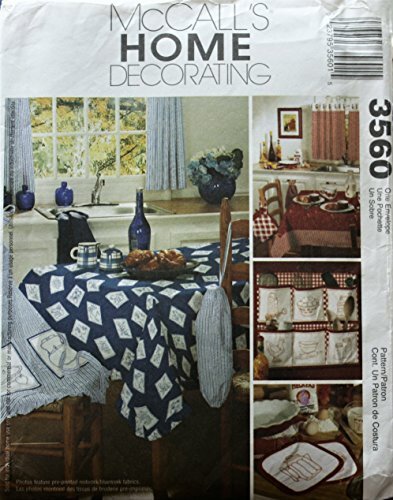 Got your decorating covered! Create a great new look with just a change of fabric. 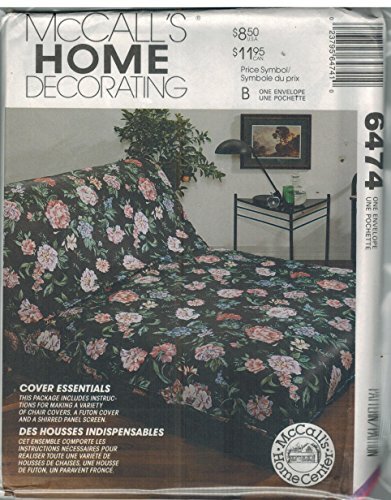 Make new covers for a sofa, chairs, throw pillows, arm-chair caddy. 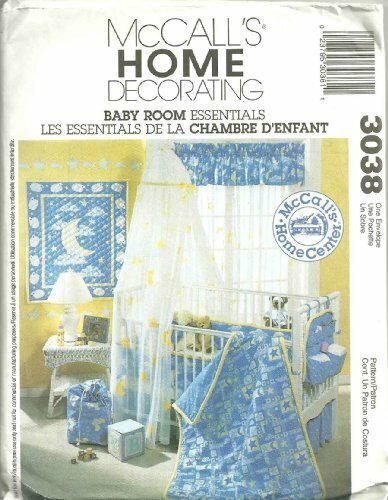 Pick a favorite fabric...Follow the easy-to-do instructions. It's home decorating at its simpliest. 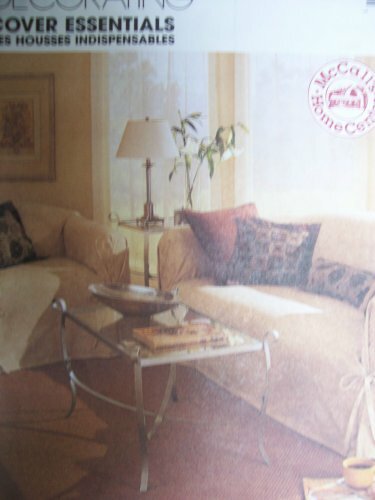 Compare prices on Mccalls Home Decorating at Elevelist.com – use promo codes and coupons for best offers and deals. We work hard to get you amazing deals and collect all avail hot offers online and represent it in one place for the customers. Now our visitors can leverage benefits of big brands and heavy discounts available for that day and for famous brands.